I have a passion for teaching Mathematics. I am positive and caring in my approach to teaching and quickly develop strong and positive relationships with students. I have special skills in being able to link simple concepts previously experienced by students to problem solving in maths. I am a life long learner always seeking opportunities to further my own professional knowledge and skilIs. I have been an Engineer and Draughtsmen for over 20 years prior to teaching and can show practical application to mathematics. I am also a keen commutor cyclist, a builder, designer and inventor and have designed and built various machines such as a three wheeled recumbent trike with two wheels on the front steering much like a car. I am currently working on a low cost non electric power assisted bicycle. I coach junior soccer and ref. games occasionally. 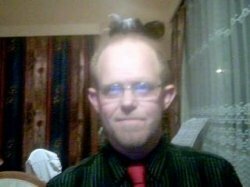 I am a fully qualified New Zealand Teacher with 15 years experience teaching Mathematics, Graphics and Technology at local Secondary Schools. I have a sound knowledge of the school curriculum framework and requirements of NCEA particularly with the recent changes in 2011. 7 years experience private tutoring in Mathematics from year 7 to year 12 and junior Science and English. I have also tutored in Mathematics at WITT to Engineering Design and Trades students and working with a wide variety of Unit Standards involving maths and engineering. Firstly, I like to get to know about a students hobbies, sports and other interests. With an understanding of a students interests I make connections with them in Mathematics. As the student builds in confidence I begin looking for areas in maths that are less well understood with small tasks and carefully worded questions. I then prepare interesting, engaging lessons to help build confidence, skills and knowledge preparing a student well for assessments. I display patience, a positive attitude, enthusiasm and dedication in my work as a tutor. ·Regular feedback, term 1, 2 & 3 reports. Early payment discount of $5.00 per lesson is available if the student is booked for a full school term (or equivalent) and accounts are paid in full within two weeks of invoice. StevenFrom Jo (5/5): My son has had several tries at having a tutor and has only managed to connect with Steven. His confidence in the subject is growing as Steven is patient and encouraging with him. Reply from: Steven: Over the past 8 lessons the student has gained in confidence as he has developed the necessary skills in Mathematics and Statistics particularly Algebra. He is now more enthusiastic and motivated to achieve at Level 1 NCEA. He is now willing to practise the new skills he is learning in tuition and is now more confident to ask questions and offer answers to problem solving work in lessons. It has been a pleasure working along-side him over the weeks building up to the MCAT assessment and getting some positive feedback of his feeling of success after.